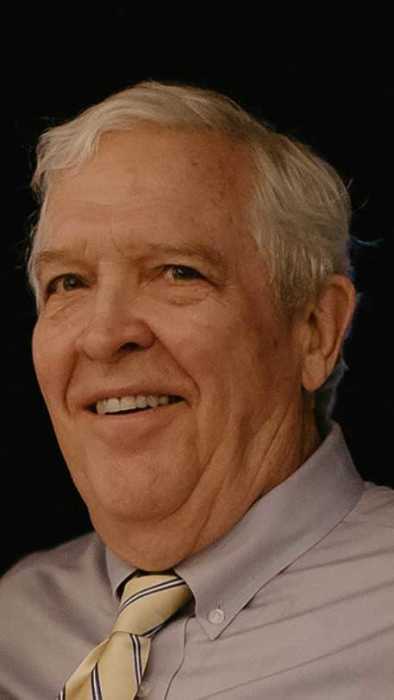 David Osmond Moshier, age 76, of Akron, passed away Thursday, April 11, 2019 at Justin T Rogers Hospice Care Center in Akron. Beloved husband of Lynne (nee Fundis) Moshier, married 52 loving years. Born July 1, 1942 and raised in South Euclid, He was a graduate from Brush High School, Kent State University, class of 1965, and Cleveland Marshall Law School, class of 1969. On July 9, 1966 he married Lynne. They made their home in Shaker Heights for 5 years until they relocated to Chagrin Falls in 1970, relocating to their present home in the Merriman Hills of West Akron in 1979 where they have enjoyed their neighbors and friends. He and his wife, Lynne, wintered in Florida for the past decade. Dave was active in the insurance industry and a life member of the Million Dollar Round Table. He served as President of the Akron and Ohio Association of Life Underwriters, and Akron Society of Estate Analyst. He was a life member of the Sons of the American Revolution, Early Settlers, and was a proud Eagle Scout and took great pleasure in working with both of his sons to obtain their Eagle Scout honors. Dave was an active volunteer and member of St. Paul’s Episcopal Church serving as youth leader, usher and assisted with the grounds and community outreach garden. Dave was a member of masons Coventry- Akron Lodge #83 , on the board of his beloved Fraternity, Sigma Alpha Epsilon, culminating in the honor of representing his chapter at a national convention alongside his father and son (Jeffrey), being recognized as the first three generation trio to actively participate on a national level. Dave enjoyed traveling with his wife and especially spending time at their family cottage located at Deep Creek Lake, MD. Dave enjoyed boating, fishing, and hunting with his family and friends, reading, playing cribbage, and helping others. Dave was preceded in death by his parents, Malcolm and Elizabeth (nee Osmond) Moshier, and sister-in-law, R. Diane Hollingsworth Moshier. Dave is survived by wife, Lynne; he is the Father of Tim (Deborah) of Everglades City and Fort Lauderdale, FL and Jeffrey (Nicole) of Akron; grandfather of Sydney and Molly Moshier, Amy (Michael) Nixon, Kimberly (Thomas) Gomez; step-grandfather of Heather Ravencroft; great-grandfather of Myles Nixon, Anthony and Alex Gomez; step-great-grandfather of Constantine Ravencroft; Brother to James Moshier of Sturgis MI and Philip (Barbara) Moshier of Pepper Pike, OH; Brother-in-Law to Dona Fundis of Palm Coast FL and Mary (James) McGrew of Mechanicsburg, PA; He also leaves several nieces and nephews and their families. There's still time to send flowers to the Celebration of Life at 11:30 AM on May 11, 2019.